Switching to no-till?Restore degraded soil first! Home » Crops » Field Crops » Switching to no-till? Restore degraded soil first! It is often assumed that implementing no-till production is the immediate next step towards restoring degraded soils. Not so, says Guy Thibaud, a veteran soil scientist with the KwaZulu-Natal Department of Agriculture and Rural Development. Residues from harvested crops provide valuable protection to the soil surface. As these residues decompose, they also increase the soil’s organic matter content. The use of no-till conservation agriculture practices continues to grow rapidly around the world. 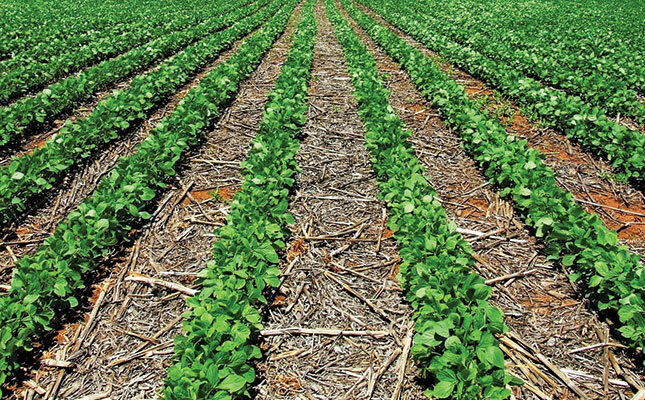 The Argentina Association of Direct Seeding No-Till Producers, for example, states that more than 80% of that country’s crop farmers implement no-till production methods. In comparison, only about 30% of South Africa’s crop production is no-till, according to Dr Hendrik Smith, Grain SA’s conservation agriculture facilitator. Veteran soil scientist Guy Thibaud says a number of South African farmers claimed to have tried implementing no-till but that it ultimately did not work for them. Thibaud believes the reason for no-till reportedly not working for some South African farmers is that these producers made mistakes or took shortcuts with their management of the system as they did not fully understand it. He says that some farmers have complained about “the poor early performance of no-till” during and immediately after the transition from conventional tillage practices on their farms. In response to these comments, Thibaud quotes world-renowned soil science expert Rattan Lal, who said that “severely eroded and degraded soils due to prior mismanagement do not respond to no-till unless the physical, nutritional and soil biological properties are [first] restored”. Thibaud says that farmers who are sceptical about no-till should take a look at the results of the simple fence row soil test devised by South African soil scientists Dr Neil Miles and Dr Alan Manson. The fence row soil test at Cedara clearly showed that the never-tilled soil (left) was healthier than the soil (right) that had been tilled annually for 38 years. 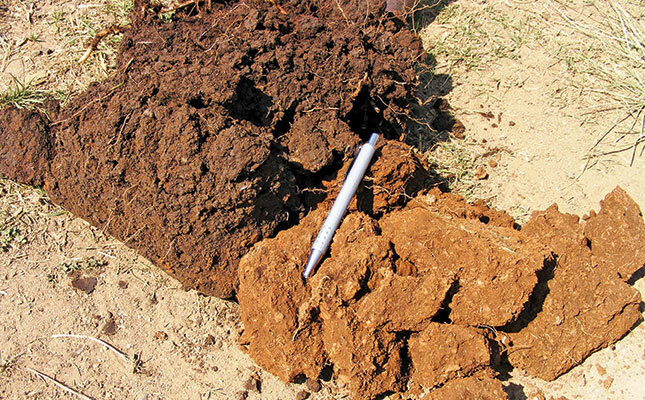 This visually compared the health of two soils on Cedara Agricultural Research Centre’s farm. The first had been conventionally tilled and monocropped with maize for at least 38 successive years, while the second, on the adjacent grassed-over access road, had never been tilled. “Just by looking at the soil samples from these two areas 2018it was easy to see that the levels of organic matter, biological activity and aggregate stability were significantly better in the never-tilled soil versus the long-term tilled soil,” says Thibaud. He urges farmers who still use conventional tillage to carry out this test, but acknowledges that in areas where more sandy soils are farmed, the visual differences between the two soil samples will initially not be as obvious. However, closer inspection, including feeling the two soils, will reveal differences to prove that the never-tilled, grass-covered soil is healthier than the tilled soil. According to Thibaud, the first important fix before transitioning from conventional tillage to no-till is to correct soil acidity. He advises no-till farmers still struggling with soil acidity to stop no-till for a season, fix the problem, and then return to no-till. A second important fix ahead of no-till implementation is to check for any soil compaction, including plough pans, subsoil compaction and surface crusting. The depth of any subsoil compaction must be determined using an appropriate soil probe tool. A tractor-drawn ripper implement set to rip to a depth just below the compacted layer can then be used to remedy this compaction. Thibaud points out that tillage, such as ploughing and ripping, provides only a temporary solution to soil compaction. He adds that constant cultivation of farmland has taken its toll on beneficial soil organic matter and on the valuable topsoil itself. He points out that in their 1953 paper, ‘The regeneration of soil humus under a grass ley’, University of Pretoria researchers JJ Theron and DG Haylett discussed the issue of declining crop yields in South Africa. The pair warned farmers that this decline was caused by, in turn, loss of soil organic matter through repeated tillage, rapid impoverishment of the ploughed soil, soil structure deterioration, and loss of topsoil due to erosion. Despite this warning, generations of farmers have continued to till their soil conventionally and repeatedly. As a result, and in combination with arguably the country’s most severe drought of the past century, regions of South Africa experienced conditions during the 2015/2016 summer crop production season worryingly similar to those of the American Dust Bowl of the 1930s. “While farmers in the Free State’s Hoopstad area were planting that season, there was a massive dust storm,” explains Thibaud. “This dust was lifted from the local highly degraded and therefore highly erodible soils. Thibaud warns farmers to avoid becoming so preoccupied with not ploughing soils that they forget to address the other important aspects of sustainable soil management and crop production. No-till cannot work without the simultaneous use of organic soil covers, such as crop residues and cover crops. He quotes Lal, who says that crops which do not leave a significant amount of residue on the soil surface cannot be grown continually in a no-tillage system without seriously deteriorating the soil’s physical properties. The transition from conventional tillage to no-till sometimes comes with short- to medium-term challenges. Thibaud cites US soil scientist James Hoorman, who said in 2009 that no-till maize production had struggled to be successful in the Midwestern US. Hoorman says this transition period can be dramatically shortened to two to four years if cover crops are also grown. This is supported by another US soil scientist, Dr Jill Clapperton, who, when speaking in South Africa in 2014, said unstructured soils with low organic matter content take between three and five years to build the soil biological properties necessary to improve soil structure. Clapperton’s recommendation at that time was that it was better to start the transition to a conservation tillage system after a perennial crop or pasture phase of two to five years. Thibaud says that with much of South Africa being classed as arid and semi-arid, consideration should be given to the water usage for cover crops that do not directly contribute to a farmer’s income. In areas where rainfall and water resources are particularly scarce or under pressure, he suggests planting one or more ley crops in winter as an alternative to conventional cover crops. “By first addressing soil acidity and soil compaction, and by first improving soil structure and general health through the use of living and dead soil cover, the transition from conventional tillage to no-till will get a valuable jumpstart,” he says. This presentation was given at the 2018 No-Till Conference. Visit notillclub.com. Contact Guy Thibaud on 033 355 9447 or at [email protected].